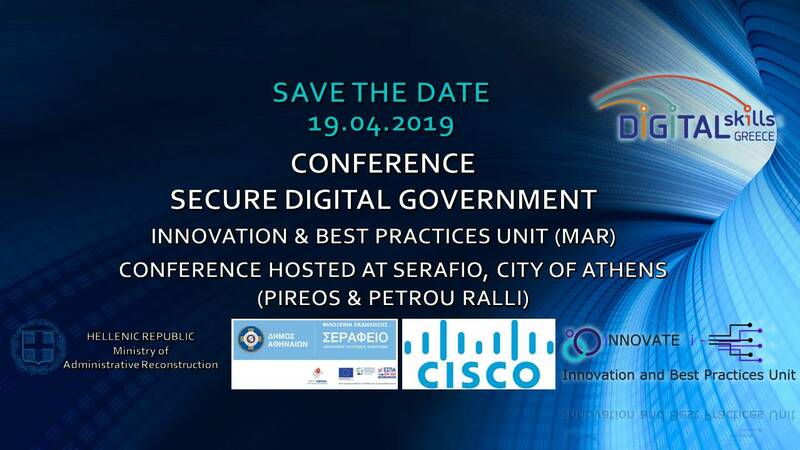 Innovation and Best Practices Unit, Ministry of Administrative Reconstruction, is planning an international conference on security in digital public governance entitled “Secure Digital Government” on April 19, 2019 at Serafio, City of Athens. The purpose of the event is to inform senior public sector executives about digital transformation, taking into account data protection issues and cyber-security, trust and emerging digital technologies. The conference’s agenda will be soon posted.